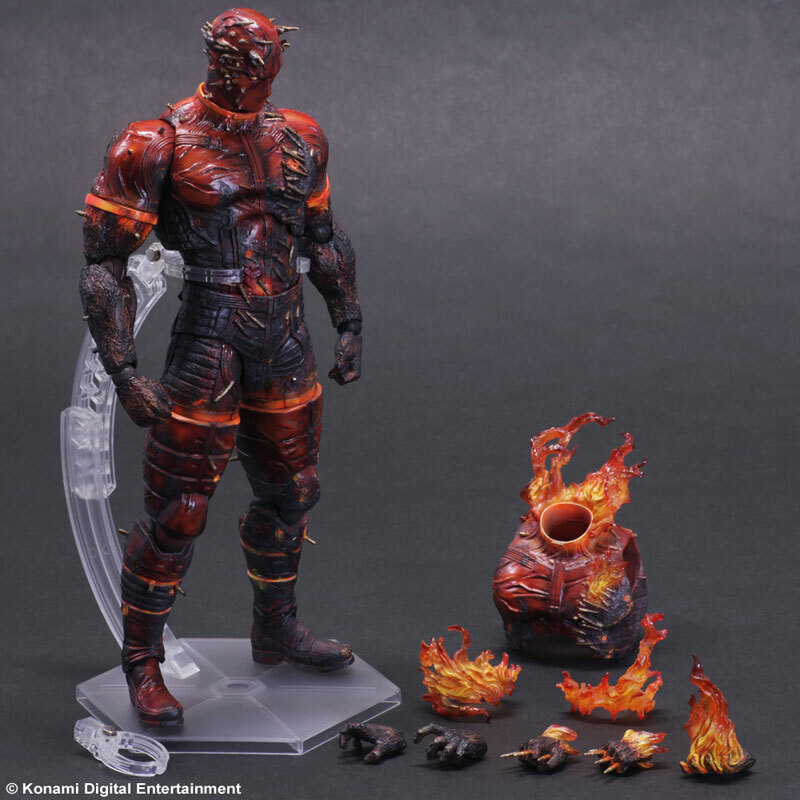 Metal Gear Solid V: The Phantom Pain, Snake is menaced by a flaming specter from the past. 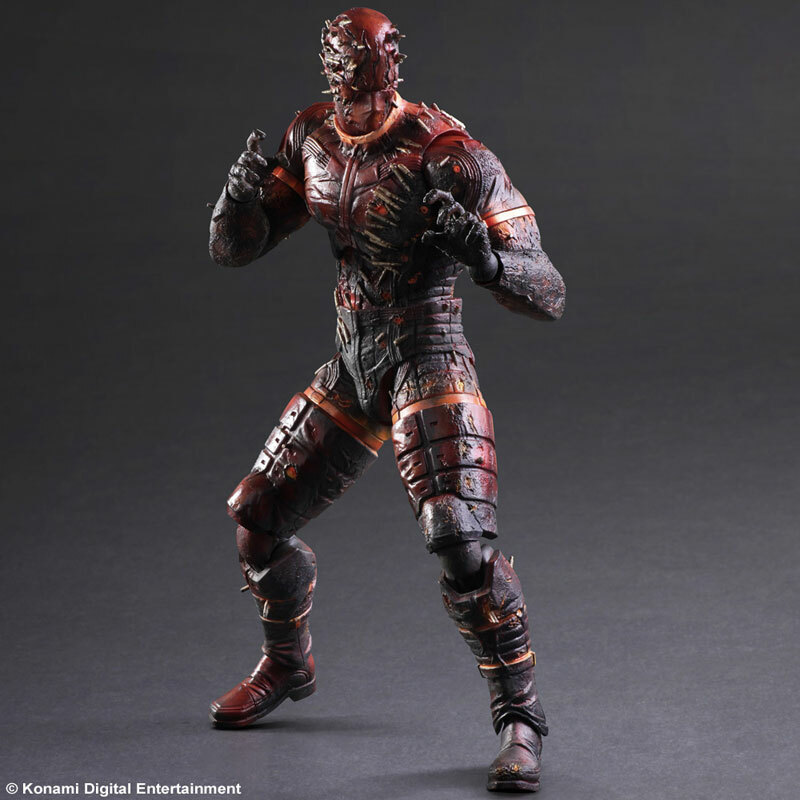 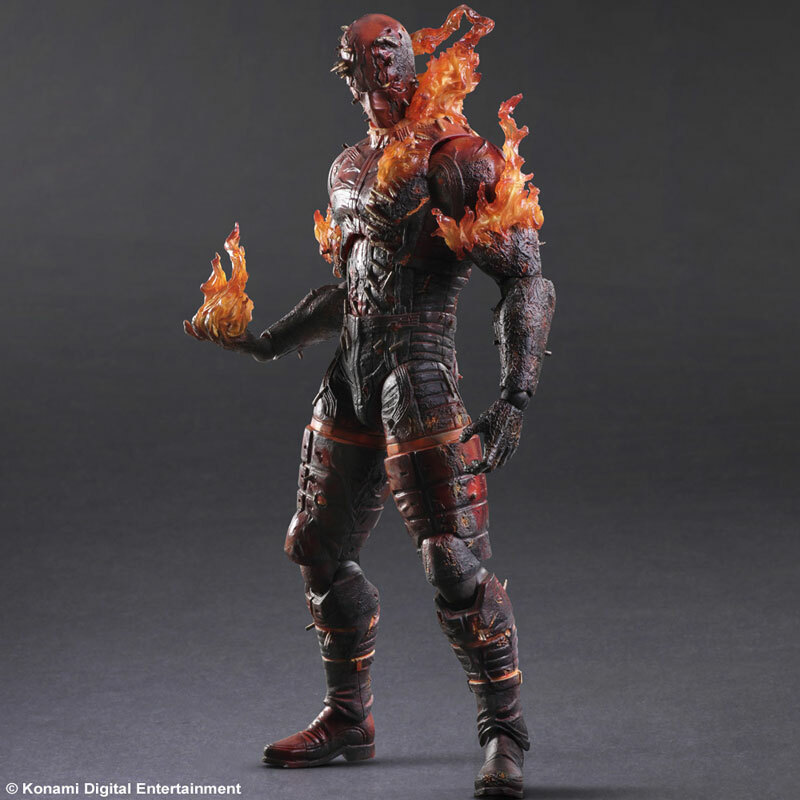 This familiar red suited figure is alight with flames and carries bullets between his fingers. 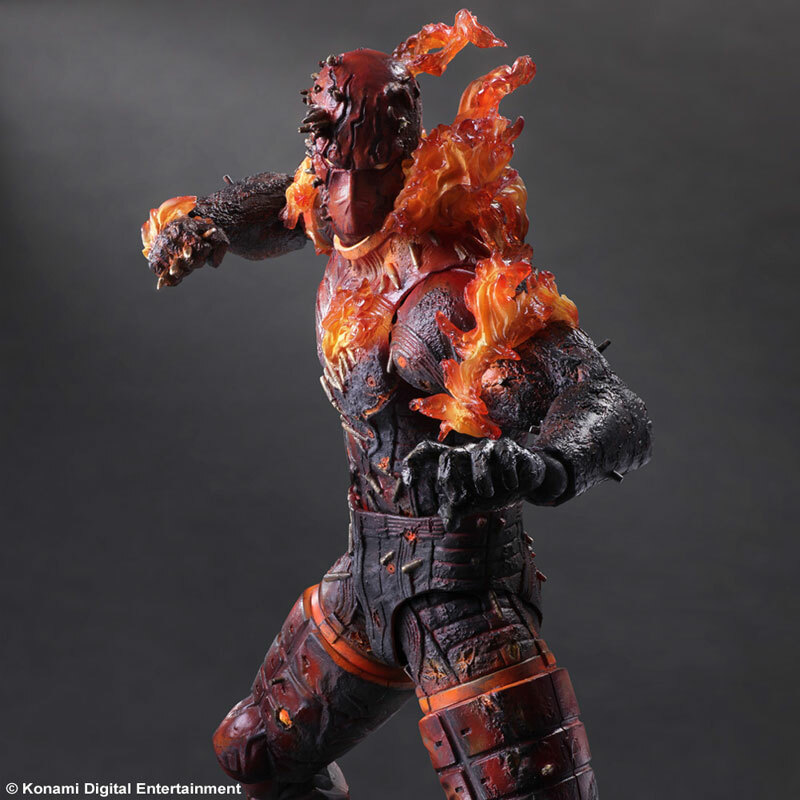 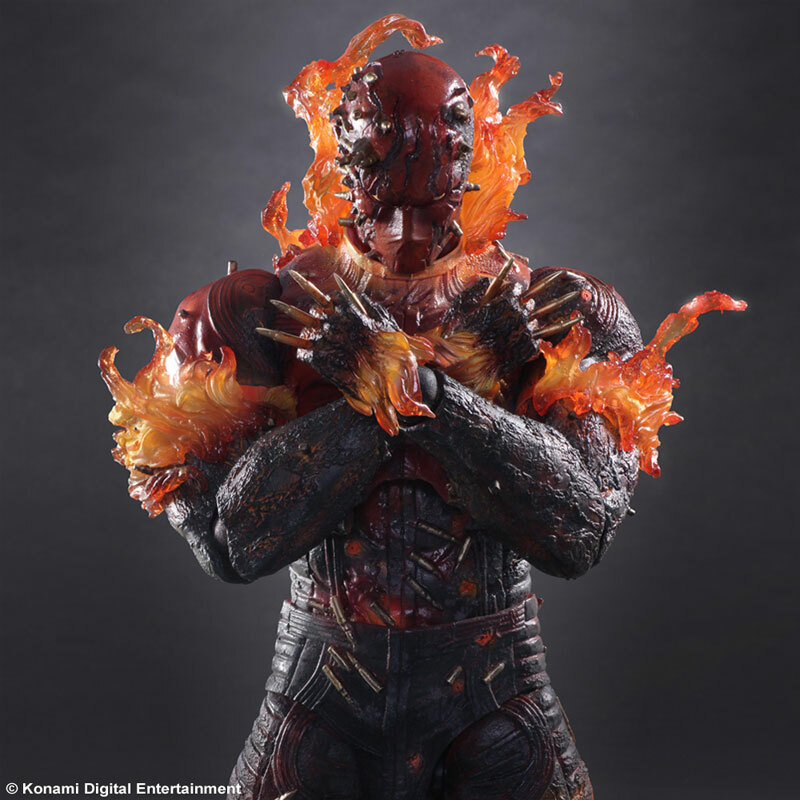 The Man On Fire comes with extra parts so he can be displayed burning or just smoldering. 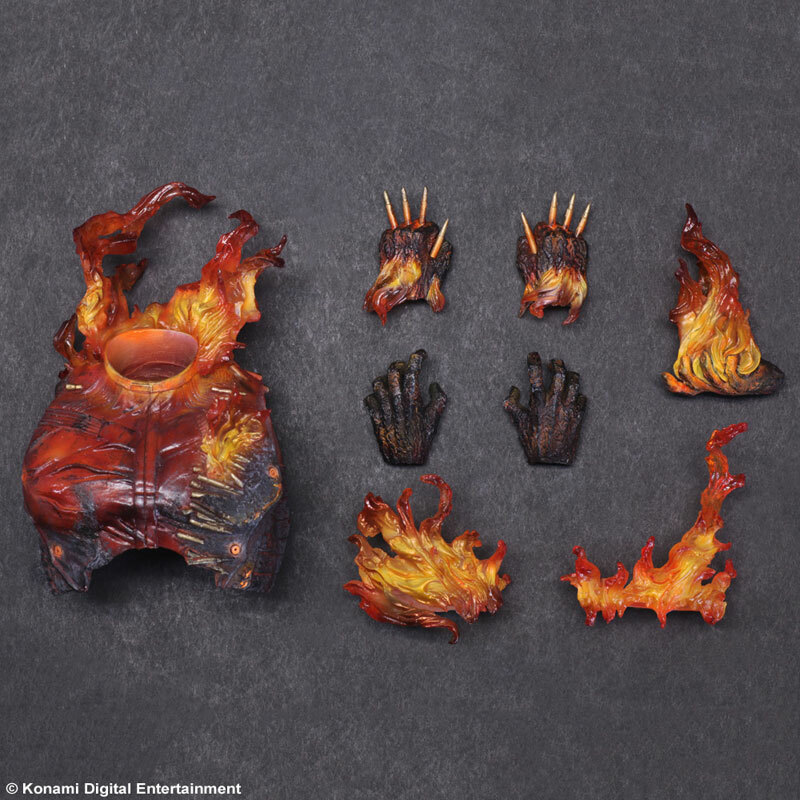 Comes with a display stand. 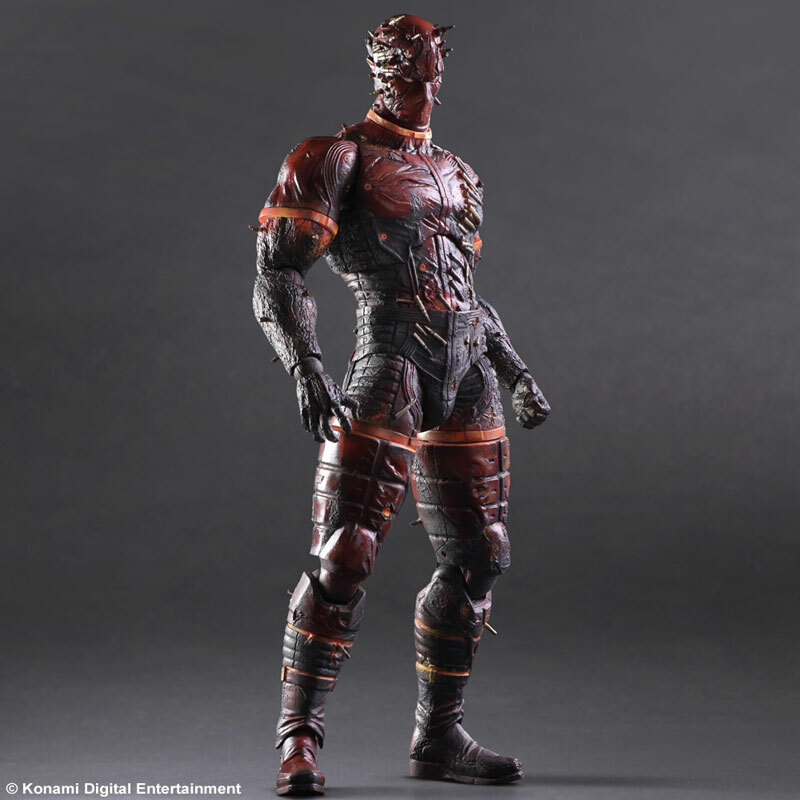 Scheduled for release in late May 2015 for 12,800 yen.